Appliance Parts & Repair Company ! If you’re looking for high quality and personal appliance repair service, you’ve come to the right place. 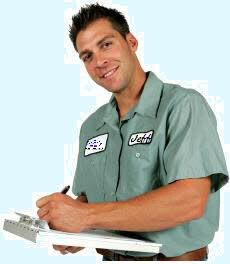 At Appliance Repair & Company we’ll give you the attention and personal service you’ll come to expect and enjoy. Appliance Parts & Repair Company has been located in Cicero, NY since 1974. Let us put our experience to work for you. Call @ 315-451-3032 today to set up an appointment. We offer the best in Appliance repair / service and maintenance for all makes and models of household appliances . gas connects / disconnects, vent repair / install, installation's and more. We have fully stocked trucks so repairs can be done the same day in most cases . Also same day and next day service when possible. Westinghouse, Maytag, Hotpoint, Amana, Tappan, KitchenAid, Jenn-Air, Magic Chef, Roper, Caloric, LG, Haier, Speed Queen, Wellbuilt, Admiral, Bosch, Monogram, Samsung, Thermador, Estate, Fisher Paykel, Sears, Estate, Roper and many more.